Like previous years, the Hailakandi district administration along with the rest of Assam observed ‘Sok Divas’ (mourning day) on Thursday to mourn the deaths at Dhemaji and also other victims of terrorist violence. The tricolour was flown at half-mast at all government establishments. The programmes also included floral tributes to the departed souls, all- faith prayer meeting, a minute’s silence and a pledge against terrorism. Deputy Commissioner Adil Khan administered an oath to the officials and employees against all acts of terrorism and militant violence and to work unitedly for peace and harmony. District Development Commissioner, FR Laskar, Additional Deputy Commissioner Amalendu Roy, Additional Deputy Commissioner Ruth Lienthang, Additional Deputy Commissioner E L Fairhiem and several other officials, leading citizens, members of the civil society, teachers and students were present on the occasion. 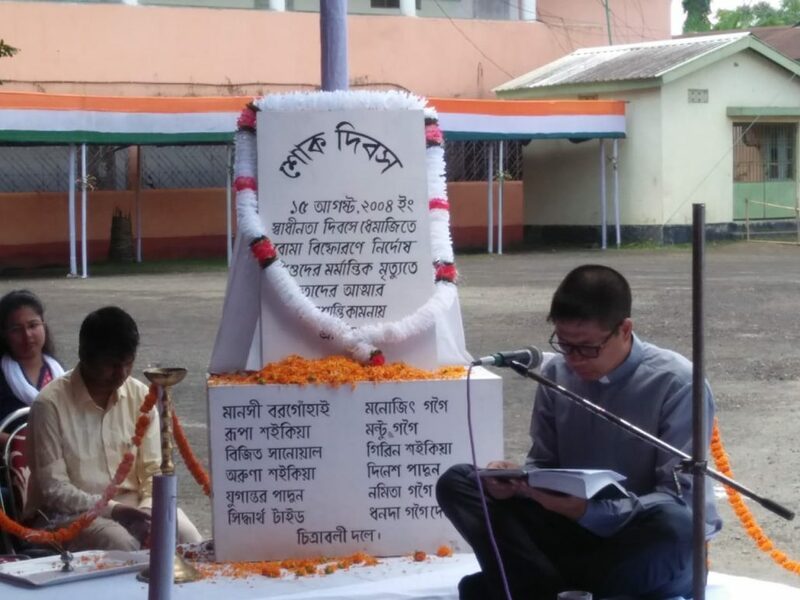 The blast during Independence Day celebrations at Dhemaji College was triggered by the banned United Liberation Front of Asom (ULFA) in 2004 as retribution for defying its diktat to boycott the function. Thirteen victims, including 10 children were killed and 40 others were injured in the blast. The outfit, which initially denied any role, accepted responsibility five years later and sought apology from the Assamese people.